NMC’s Food For Thought Program was a huge success! 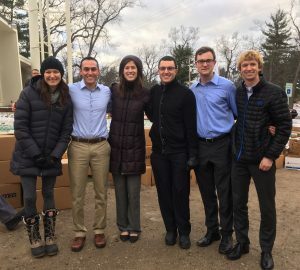 A huge thank you goes out to the many NMC students who conducted a series of food drives for the Northwest Food Coalition. Step Up Northern Michigan was one of ten local food pantries to share in the fruits of their labors. 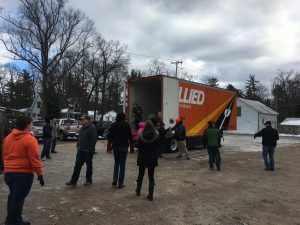 Our Plante Moran Cares Team members also joined in and helped with the unloading of the trailer as well as loading the awaiting pantry vehicles. We are exited to share that for the first time ever the shelves at the Traverse City High School are full as we head into the holiday season! Happy Thanksgiving to all! Thank you to The Good Bowl! Thank you Modus 45 for your generosity! Step Classroom at Traverse City West High School gets a facelift! Thank You to Dr. Sara Bergsma, staff and patients, who collected items for the Traverse City High School students! Step Up Northern Michigan appreciates their willingness to help their neighbors!